Come and try wheelchair rugby league! We are staging a very special event this Sunday. 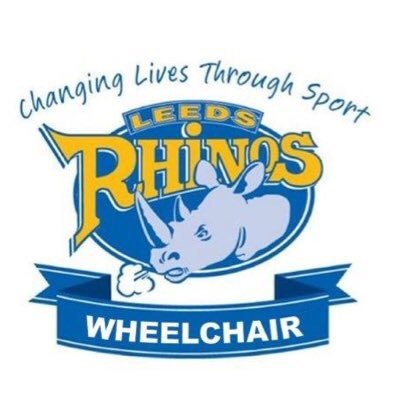 Halifax RLFC’s and Leeds Rhinos’ wheelchair Rugby League teams will face each other in a demonstration game at the Hough End Centre, which is Mancunians’ Community venue, and afterwards anybody attending will be able to take part in a very special taster session so they can try the sport for themselves. 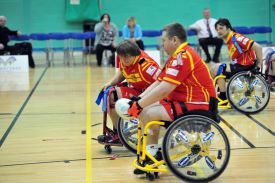 You don’t need to be a wheelchair user to take part, wheelchair Rugby League is a sport where disabled and able-bodied players take part on the same team but has all the thrills and spills of regular rugby. Have a look at this video which gives you a good idea of what it takes to take part. The wheelchair Rugby League session, which is aimed at people over the age of 16, will be followed by a “Murderball” wheelchair rugby session which takes place at 3 o’clock. The wheelchair rugby league session starts at 12:30 and continues until 14:00, with a children’s murder ball session taking place between 14:00 and 15:00.